We are happy to serve customers in Sacramento, California - also Folsom, Roseville, Rocklin, Carmichael, and surrounding cities. 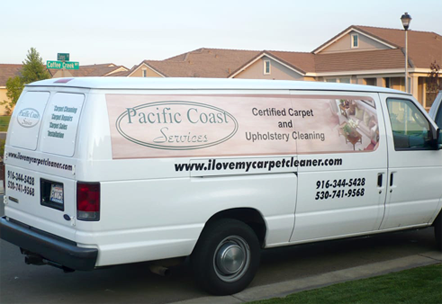 There are many cleaning companies out there, but few who are in a class with Pacific Coast Services. Florin Toderean, owner and operator of Pacific Coast Services strives to ensure exceptional service and professionalism. You have made an investment in the quality of your home's interior. Our job is to provide this cleaning service to get the most from your investment. We use highly sophisticated professional equipment, techniques, and solutions, including Hot Water Extraction and Low-Moisture methods, to deep clean your carpets and to thoroughly clean your upholstery. Carpet and Flooring - Sales, Installation, Repair. Exceptional Customer Service and Professionalism: Give Us a Try!! Pacific Coast Services strives to provide the highest degree of professionalism and expertise along with friendly service. We are certified by the IICRC to assure you the highest quality carpet care.